A six-part comedy series on RTÉ Radio One. From bus stops to restaurants, via births, marriages and deaths, Waiting is all about women who are waiting. 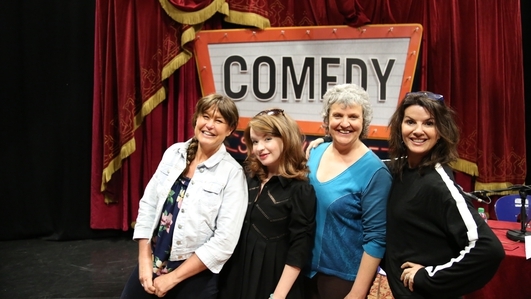 Recorded live at The Project Arts Centre, Dublin as part of Comedy Showhouse and written by Fiona Looney; Waiting stars Deirdre O'Kane, Caitriona Ennis and Rose Henderson. The first episode in a new six-part comedy sketch series. Waiting is written by Fiona Looney and stars Deirdre O'Kane, Rose Henderson and Caitriona Ennis.